MONTGOMERY, Alabama – Job-creation efforts in rural Alabama are gaining momentum from an increased level of cooperation between economic developers at state and local levels and a regional approach that has helped sharpen strategic thinking and build alliances. Wayne Vardaman, executive director of the Selma & Dallas County Economic Development Authority, is directing a renewed push by the Economic Development Association of Alabama (EDAA) to help the state’s rural communities better compete for projects and jobs. The EDAA-led campaign is designed to give a new level of support for economic developers working in Alabama’s rural areas by providing them with collaboration, education and improved lines of communication. Vardaman says this regional approach already has fostered teamwork and networking. Map showing Alabama's economic development regions. Those small projects can add up. For example, Dallas County, which is served by the four-lane U.S. Highway 80, today is home to two Hyundai suppliers and one Honda supplier, combining for more than 800 auto industry jobs, Vardaman said. In December, South Korea-based Taesung announced plans to open a $6.6 million manufacturing facility in the Macon County community of Shorter (population around 350) as the firm moves in the automotive sector. Taesung produces injection-molded plastic parts and equipment. Its first U.S. factory initially will be staffed with 70 workers. Macon officials believe the central Alabama county, which is bisected by Interstate 85, is poised for growth. It’s no secret in economic development circles that rural areas may not always meet the specifications of prospective companies in terms of interstate access, certain labor requirements and overall infrastructure needs. However, at times all that is needed is the opportunity to compete. 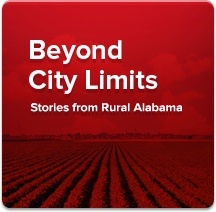 Economic developers in rural areas of Alabama have faced these disadvantages for years. So Vardaman, the EDAA and others decided to formulate a new approach to boost the competitiveness of these areas, which represent a large slice of the state. The rural Alabama economic development initiative was built on a new foundation. For one thing, this push was designed to be self-sustaining and independent so that its work would continue without interruption through changes in political leadership in Montgomery. And rather than being directed by elected officials, this effort would be led from the ground level by professional economic developers. As part of the effort, a steering committee on rural economic development was formed with representatives from the economic development community, the state’s utility companies, the Alabama Department of Commerce, AIDT and the Alabama Community College System. Alabama’s rural counties were divided into six regions, with economic developers from each appointed as representatives. These council leaders meet quarterly with the steering committee to discuss topics such as incentives, industrial parks and marketing. The EDAA’s goal is to develop statewide strategies that put Alabama’s small communities on the radar screen when projects come along. Several of Alabama’s rural areas have seen success in attracting projects, with many of them tied to the state’s growing automotive manufacturing sector. Chambers County, for example, has become home to almost a dozen suppliers that serve the nearby Hyundai and Kia assembly plants. In the biggest project involving a rural area, Chinese manufacturer Golden Dragon Precise Cooper Tubing is constructing a $100 million pipe plant in Wilcox County that will employ 300 people, with the possibility that number eventually will increase to 500. In a recent visit to the site, Alabama Governor Robert Bentley said the project will change the county’s fortunes. Many other rural areas across Alabama are actively pursuing projects. In Walker County, the 400-acre Jasper Industrial Park has earned an Advantage Site designation from the Economic Development Partnership of Alabama, indicating to prospects that it is prepared for development. As part of the process, local economic developers must document essential details such as ownership, environmental and geotechnical conditions, accessibility and infrastructure, and more. The Jasper Industrial Park is one of 46 sites in Alabama with the designation, many of them in rural areas. The park stands just two miles from the future Interstate 22 (now Corridor X) and has a 50-acre site that has been graded. Jasper recently benefited from an expansion project carried out by auto supplier HTNA, which invested $27 million in a new, larger facility and announced plans to hire 100 people. Photo by: Mobile’s port operations are a critical component in Alabama’s export infrastructure.